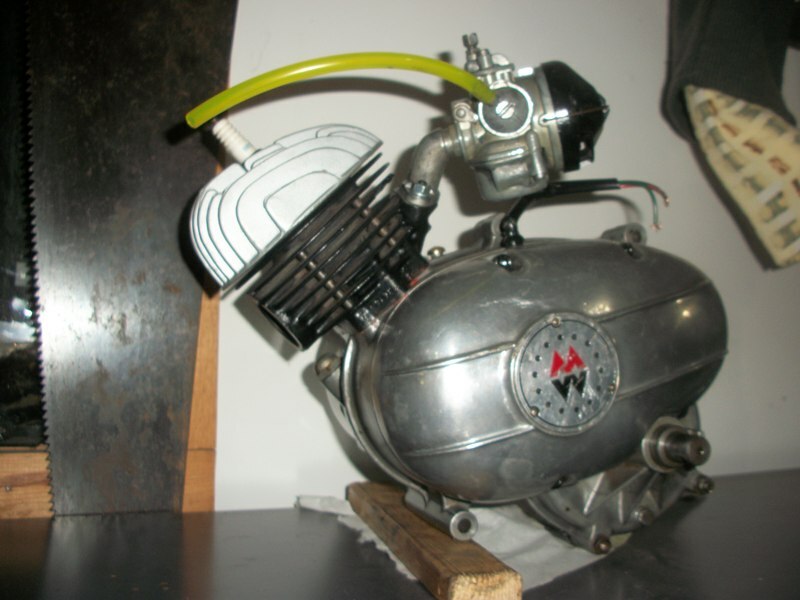 1965 Montgomery Ward Riverside (Benelli Powered) Moped. 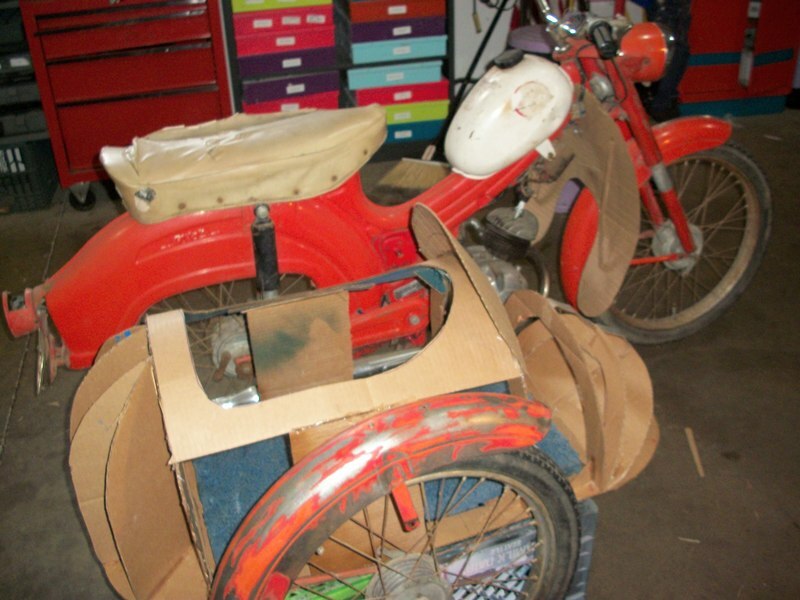 This really cool old moped is currently being restored back to factory original condition but with extras. This beautiful old machine will not only be fully restored, it will also be sporting a matching sidecar, leg shields and small windshield. When this project is complete, it will not only look good but perform even better. 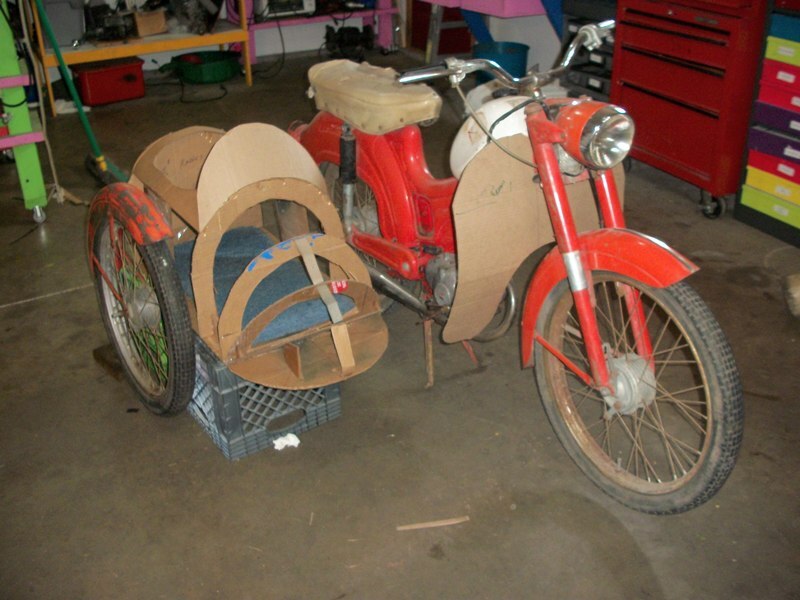 The sidecar is being molded from fiberglass resin and aluminum and will be detachable……as if someone would really want to choose to detach it. The triple link design will allow it to tilt right along with the moped when cornering. Everything is being custom-made to not only match the metalwork of the moped frame, it’s being made to look as if they are original OEM factory accessories. The sidecar will be painted to match the bike and will get custom-made decals to match as well. 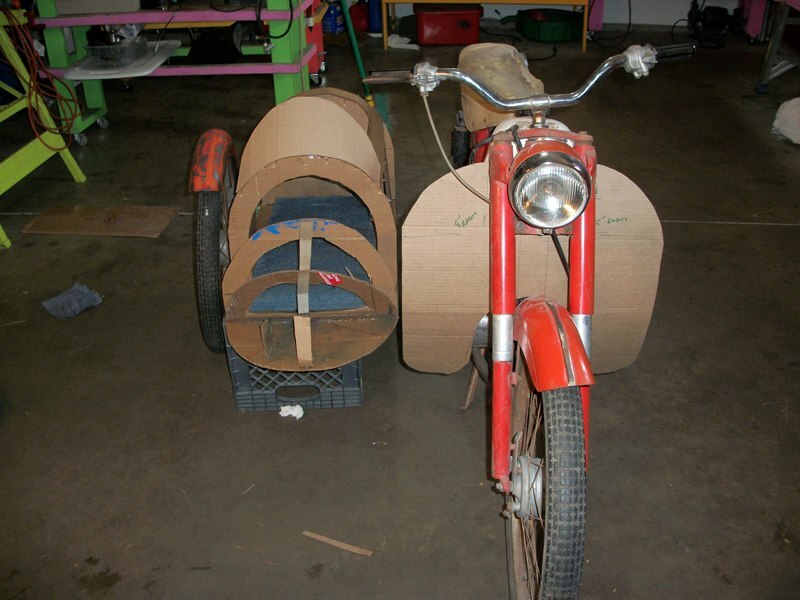 To keep the side car size in correct perspective to the moped, it will probably be too small for humans but you will be able to transport your dog or groceries around if you so choose. Oh, and the best part of this grand-to-be moped is that it will even have a full warranty! Original Mock-Up Photos w/cardboard modeling. A 2nd Riverside moped is being used for a donor bike to both moped and sidecar.